Structural glasing is one of the most dynamically developing fields in civil engineering. Because of the pace of innovation, there is a permanent need for first-hand information from researchers and practitioners. This book presents the state of the art in more than 70 articles. 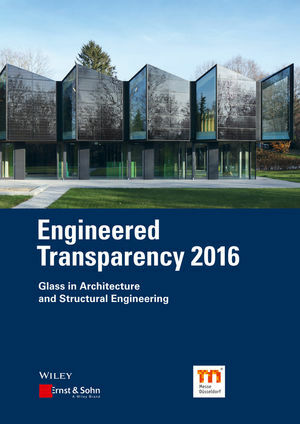 Market Description (Please include secondary markets): Civil Engineers, Test Engineers, Engineering Consultants, Universities, Universities of Applied Sciences, Libraries at University Institutes, Libraries at Universities About the Book: This book contains more than 70 articles and presents international trends in structural glazing and facade construction. Renowned authors from all over the world report on current research results and innovative construction projects. Prof. Dr.-Ing. Jens Schneider is head of the Institute for Theory of Structures and Construction at the Department of Civil Engineering at the Technical University Darmstadt. Prof. Dr.-Ing. Bernhard Weller is head of the Institute of Construction at the Department of Civil Engineering at the Technical University Dresden.